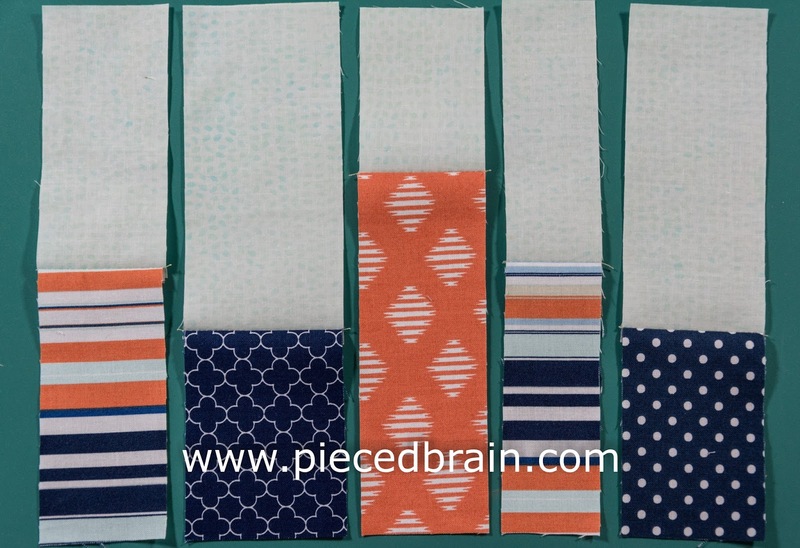 Welcome back to our City Girl Sew Along after a brief hiatus. 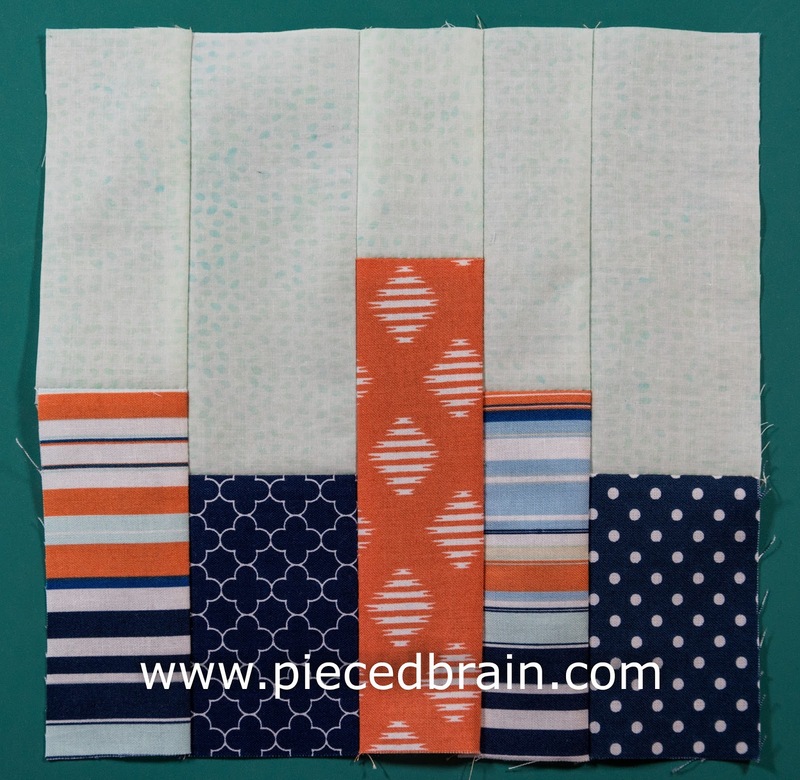 This week's block is called Condos by the Bay with emphasis on the fabrics: the buildings feature fabrics that remind us of yachting, sailing and other water sports and the top fabric has a very light, water color. 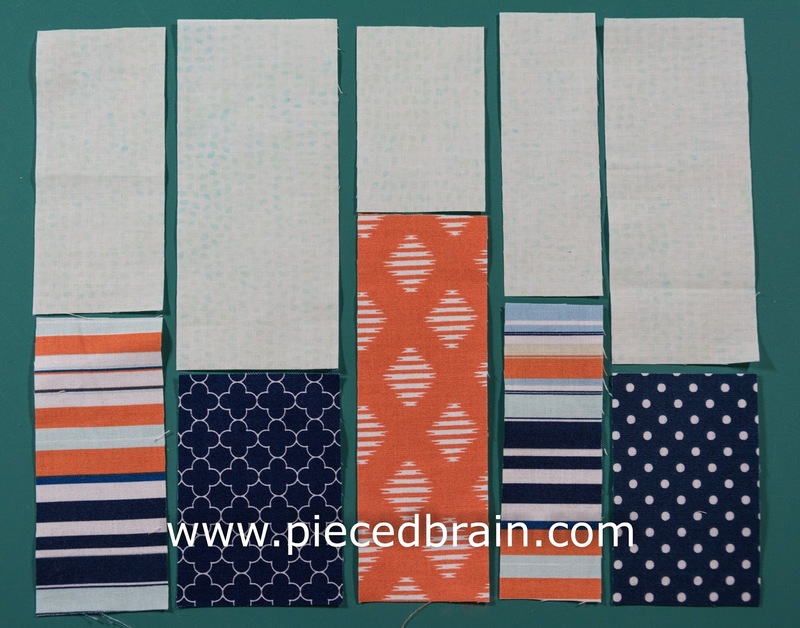 Arrange fabric pieces as shown on picture above. 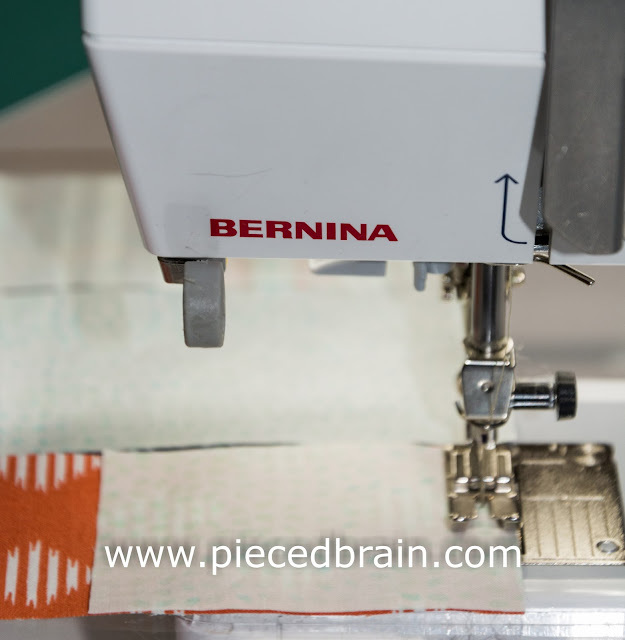 Chain stitch and press seams towards the darker fabrics. Next, stitch the columns together (no seams to nest!) and press block. And here you have it. Super fast to make. Before I forget: my 15-year-old son notice a 'problem' with Block #13 - the girl's foot should be straight down onto the scooter, and not where it is. I have updated the template to reflect that change which can be downloaded by clicking here. 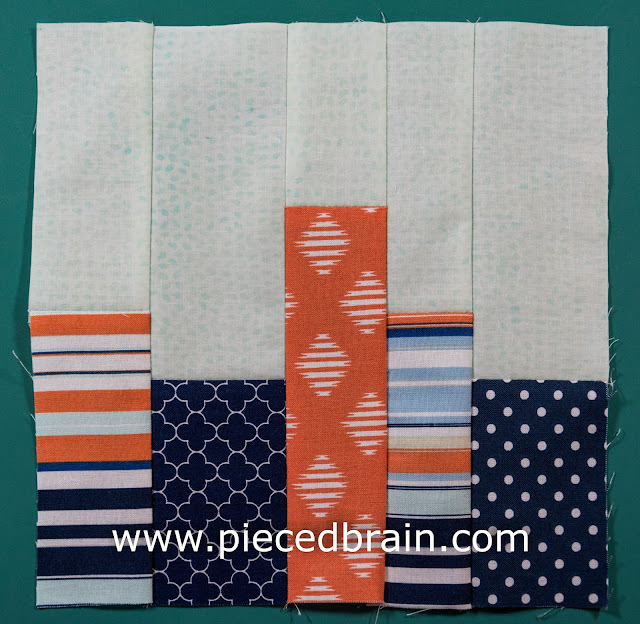 I will upload the correct block shortly onto its page and you can access it easily by going to the City Girl Sew Along page. Finally, tomorrow is the deadline for this week's giveaway so click here to go to that post and leave a comment, for a chance to win a $25 Gift Certificate from Fat Quarter Shop. Then, come back on Monday for the next giveaway.